The Language Flagship advances efforts to improve foreign language learning and teaching at the elementary, middle, and high school levels. Follow the links below to learn more about the Flagship’s unique language learning opportunities that result in useable language proficiency at the K–12 level. To learn more about summer and in-country opportunities for K–12 language learners, please visit the STARTALK and NSLI-Y websites. The Language Flagship supported the development of a secondary Arabic curriculum through which Arabic teachers in over 17 states received in-service training in research-based best practices, curriculum, and standards for their Arabic language instructional programs. The four level, Modern Standard Arabic curriculum based on the National Standards includes audio files, engaging activities, and performance-based tasks that enable learners to build solid proficiency. This curriculum has been enhanced by a partnership with Arabic STARTALK programs nationally and through collaboration with the federally funded Arabic K–12 program out of the National Capital Language Resource Center. The first two levels of the Arabic Curriculum are now available here and levels three and four are forthcoming. The University of Oregon and Portland Public Schools operate a collaborative K–16 Chinese Flagship Center. The Center has developed a replicable, fully articulated K–12 dual language Mandarin immersion program with an emphasis on literacy development. Experiential learning, such as a two-week eighth-grade research residency/home stay in China or project-based learning in the heritage community around Portland, enable students to put their skills to use. To meet the needs of high school learners, secondary courses and modules allow for more individualized instruction and motivate teenagers to persist. Students graduate from high school at or near Advanced-Low language proficiency and successfully matriculate into advanced content courses at the University of Oregon. Project oversight and direction is shared by the Chinese Language Flagship program housed in the East Asian Language and Literature Department at the University of Oregon and by Portland Public Schools Dual Immersion personnel. An ethnography of the project, conducted by the Center for Applied Second Language Studies resource center at UO, documents the conception, implementation, and sustainability of the model. More information about the Portland Public Schools Mandarin Immersion Program may be found here while the UO continuation is outlined here. The Russian Flagship Program at Portland State University (PSU), Portland Public Schools (PPS), and Woodburn School District collaborated on the development of a comprehensive K-12 Russian Immersion Language Curriculum Framework (RILCF). Building on work already begun by the partner institutions (K-5 Forms and Functions, 2012), and heavily informed by PPS's experience in developing language curriculum frameworks for its existing Chinese, Japanese, and Spanish immersion programs, the RILCF was presented to educators at the national meetings of AATSEEL and ACTFL in 2015. The final product is available free of charge in electronic format at the PSU Flagship website for use in Russian immersion programs nationwide. In June, 2012, The Language Flagship launched the Flagship-Chinese Acquisition Pipeline (F-CAP), a consortium led by Brigham Young University and the Utah State Board of Education (USBE) to develop curriculum and improve K-12 Chinese language instruction throughout the U.S. In November 2014, F-CAP expanded to include Portuguese and subsequently became the Flagship-Language Acquisition Network (F-LAN). The initiative enlisted leading K-12 experts, six State Education Agencies, Local Education Agencies in 22 states, and Chinese and Portuguese Language Flagship Centers across the country. 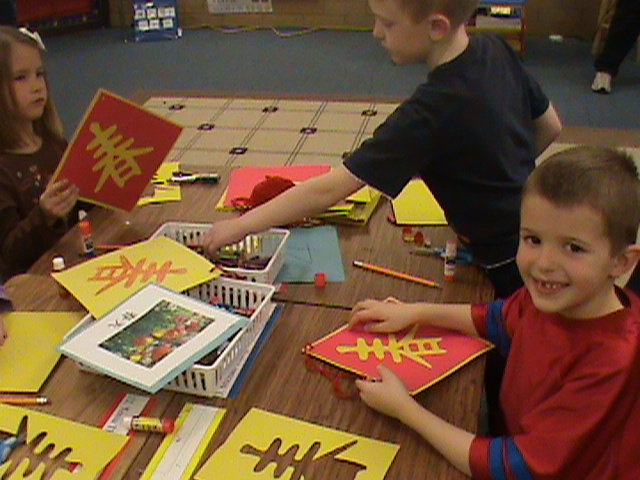 The USBE continues to build out a research-based K-12 dual language immersion model with heavy emphasis onliteracy, mathematics, and social studies connections in Chinese and Portuguese. The model is informing other dual language immersion start-up and secondary school immersion continuation programs throughout the consortium. Partners in several states, led by BYU and the Arizona State University Chinese Language Flagships, created curriculum frameworks and detailed lesson plans for more traditional early- and late-start secondary programs. Both efforts also included teacher training and support for district leadership. Estimates indicate that approximately 330,000 learners and over 600 educators nationwide have already been impacted through F-LAN. The Language Flagship supported a pilot program between Hunter College and Jericho Schools (NY) for technology-enhanced blended Chinese language learning in K-12. From lessons learned in many successful summer STARTALK programs, the model significantly changed the typical K-12 Chinese instructional design through face-to-face and personalized learning opportunities, demonstrating through assessment results that it builds language proficiency. The Language Flagship and Hunter College are dedicated to the improvement of language education and have clearly codified the model and instructional design to share with the larger community. Visit the project website for details on curriculum frameworks, instruction, assessment, and teacher training if you are considering a blended learning option. Student testimonials attest to the model’s success! The Arizona State University Chinese Flagship partnered with educators in five AZ schools to develop AP resources. The AP Curriculum, including units, lesson plans, PowerPoints (PPT), and assessments enables teachers to supplement existing resources while AP Minute (APM) Videos, complete with activities and study guides, reinforce students’ listening and viewing skills. The AP Cultural Project and narrated Mini Culture Presentation PPTs based on cultural knowledge, customs, and cultural symbols further students’ proficiency and cultural competence at their own pace in preparation for the AP exam. Teachers and students in Arizona and beyond are thrilled to have these resources just a click away. SFSU Language Flagship and CCSF partnered to offer dual-enrollment options to high school students who had graduated from Bay Area K-8 Mandarin immersion programs and students who had successfully completed the Chinese AP exam or demonstrated advanced-level Chinese. Course offerings at CCSF were tailored to incoming student proficiency scores. The linkages team also recruited current and incoming CCSF students into beginning intensive Chinese Flagship-designated courses, measured proficiency gains, and ensured alignment between community college and university courses. Tutors and language aides in both pathways were capacitated to help close students’ proficiency gaps. Key stakeholders in the PNW wanting to extend the successes of K-8 immersion developed K-16 Flagship Articulation Documents for Russian and Chinese by collecting assessment data and proficiency expectations, then setting targets and benchmarks based on various starting points. The Center for Applied Second Language Studies resource center at the University of Oregon and the Portland State University Russian Flagship also capacitated teachers and community college instructors through workshops, classroom observations with feedback, curriculum and assessment guidance, and/or OPI or MOPI training. The pathways documents, including embedded QR codes linked to student testimonials, as well as a searchable repository of Russian immersion resources developed by project teachers, are linked here. The University of Georgia Portuguese Flagship Program partnered with the Georgia State Department of Education, Brazilian Consulate in Atlanta, and three county school districts on the PAL Project. They administered baseline assessments to secondary students in GA and correlated results to survey responses on demographic, motivational, and language background factors, in addition to creating a database of K-12 Portuguese programs across the U.S. After designing standards-based levels one-through-five curriculum frameworks for secondary Portuguese programs, they capacitated a national team of teachers to draft and provide feedback to each other on year-one units based on the framework. Units will be available on the project website once finalized. If you’re considering a new program and wish to collaborate with existing ones, use the interactive map on U.S. Portuguese programs to learn more about the types of programs offered in each state.